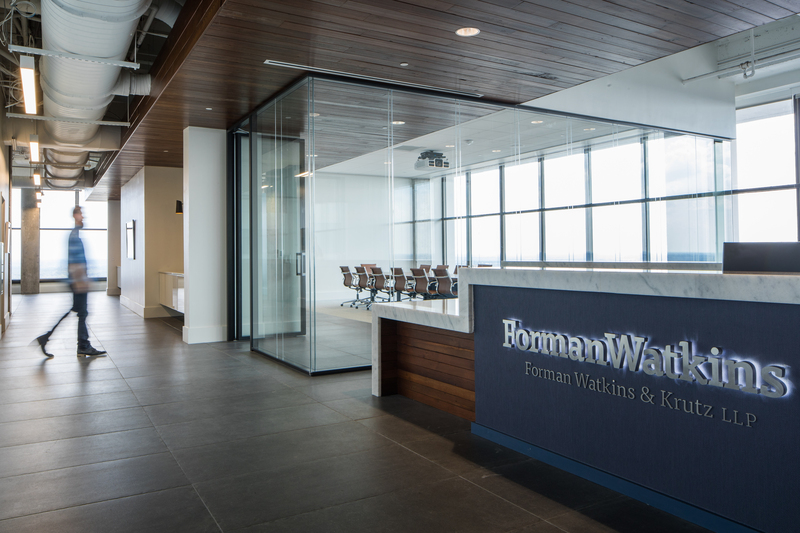 Forman Watkins & Krutz, a law firm with a staff of 100, was previously located on multiple, disconnected floors in two adjacent mid-rise office towers in downtown Jackson, MS. With their office relocation to the top three floors of the 22-story Regions Plaza, they sought to unify their staff, create opportunities for diverse collaboration, and celebrate their commitment to downtown Jackson. 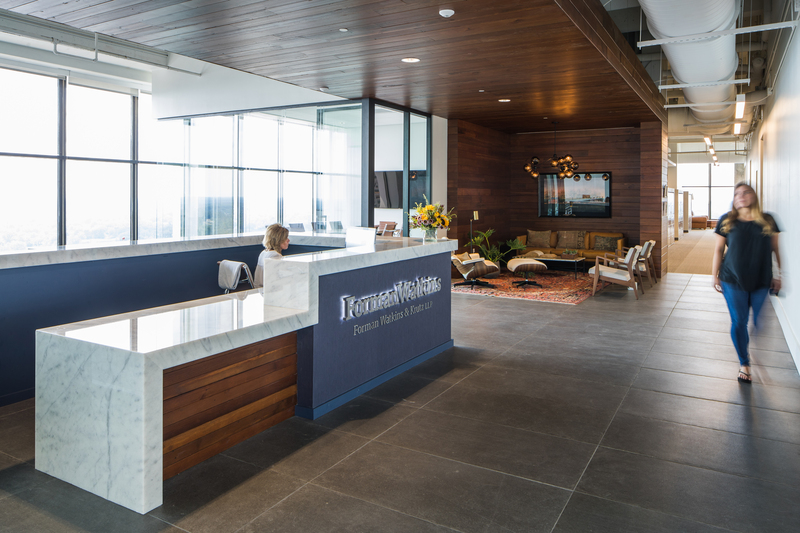 The 22nd floor has sweeping, unparalleled views of the city and serves as the primary floor with a reception lobby, conference rooms, and offices for senior staff. 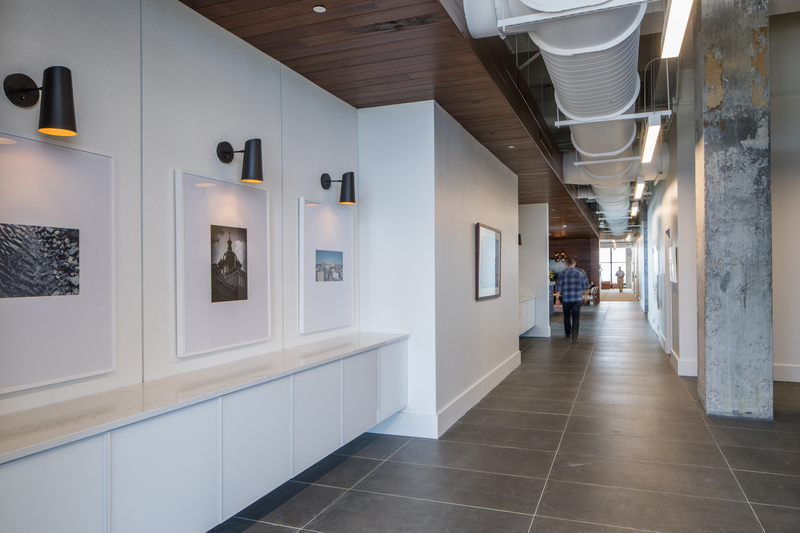 Primary circulation axes through the office are terminated on the building’s windows, visually expanding and allowing natural light into the space while also offering city views to all visitors and staff. 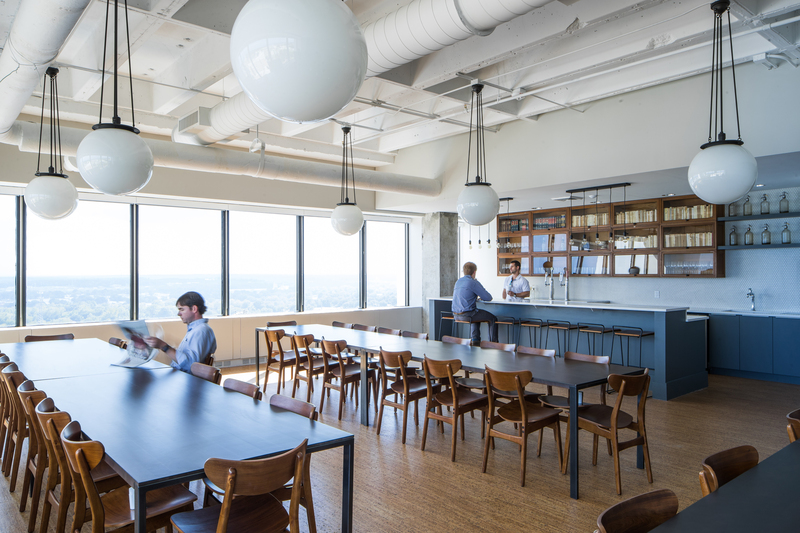 Informal open collaboration nodes occur at the intersection and terminus of each axis. 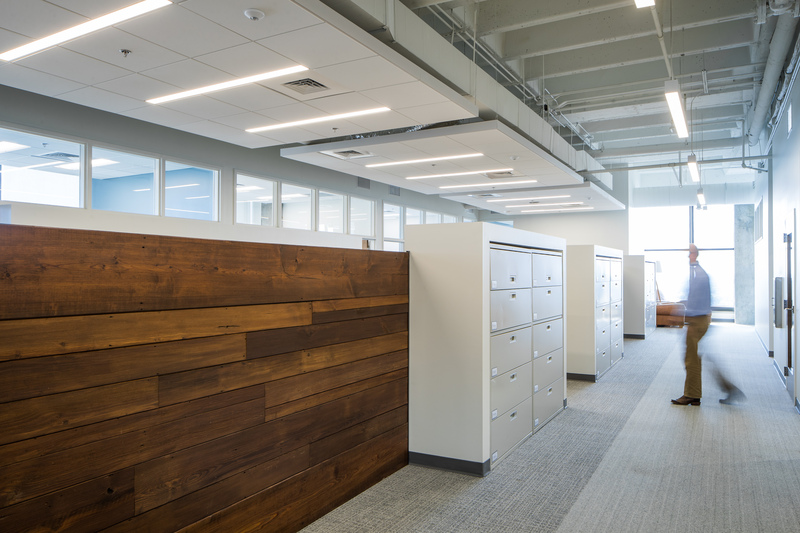 Visitor areas (the reception lobby and conference rooms) are defined by a soffit constructed of salvaged wood that extends along the longitudinal axis and returns to the floor, defining the visitor waiting area. 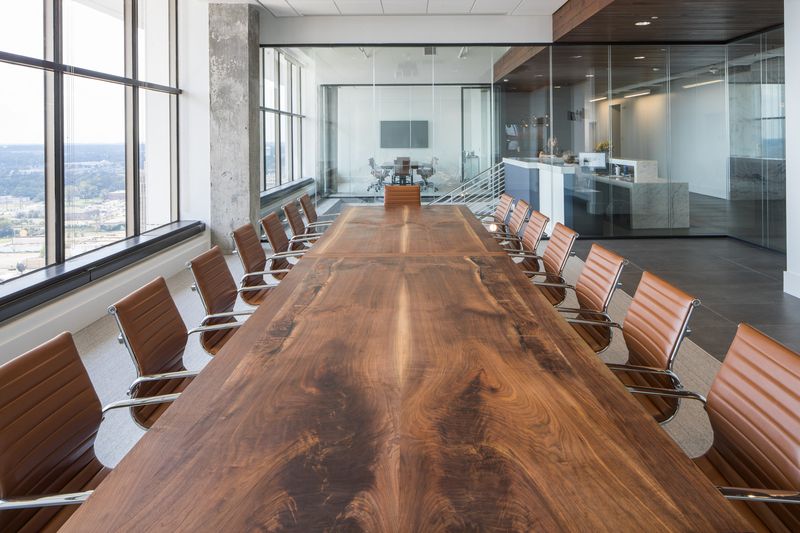 Conference rooms are partly enclosed with glass walls to reveal views of downtown. 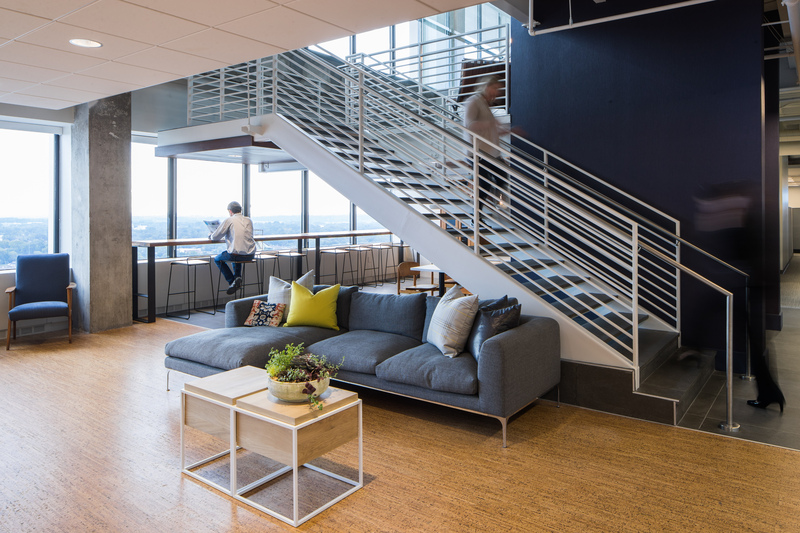 A new communicating stair between the 22nd and 21st floors literally and figuratively connects and unifies the working experience and leads to an open staff café lounge and dining area. 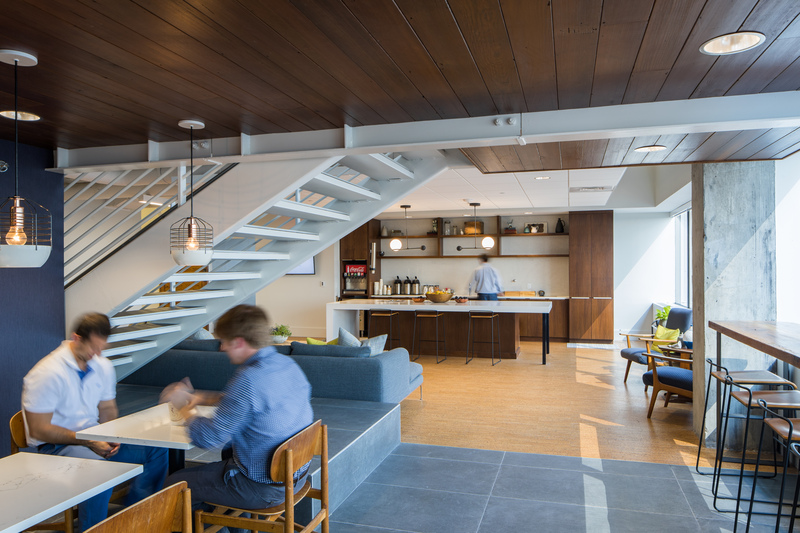 The stair’s landing and the space underneath are used for informal working and collaboration, while the space on the floor below the receptionist desk is an intimate law library. 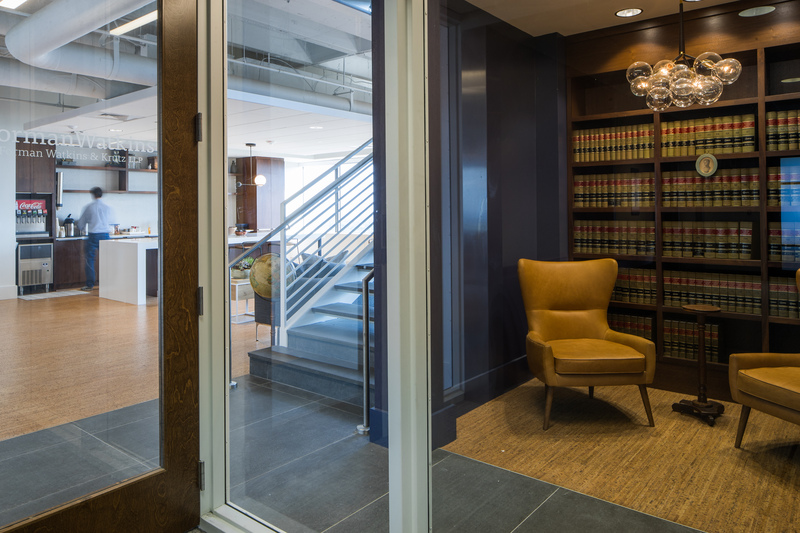 Attorney offices on both floors around the building’s perimeter, while requiring visual privacy, feature clerestory windows to allow light and views of the sky into the adjacent staff areas.